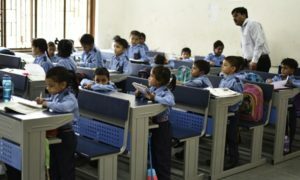 Delhi government has put forward a proposal to centralise the process for nursery admissions from the next academic year. The centralised process will let parents to apply for the schools of their choice. According to the officials, the proposed system will ensure transparency in the admission process without compromising the autonomy enjoyed by private schools. Another report by a leading news paper revealed that the new process will help in streamlining admissions and make it hassle-free for parents. To implement the process from academic year 2018-19, the state government will start the process of collecting data from private schools in April this year. The centralised system will cover all 1,700 city schools recognised by the Directorate of Education (DOE), said officials. The above number includes schools on DDA land, which have taken the government to court over its neighbourhood criteria for nursery admissions. “Right now, we are following what the HC has ordered. 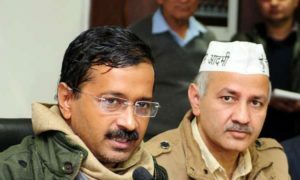 Once the case is decided, the criteria settled upon will be embedded in the centralised system,” said Atishi Marlena, adviser to the education minister. To choose a school, parents have to register themselves on the website of DOE as per the new system. After completion of registration, they will be directed to the admission form. The basic information of a child like name, age, parents’ details etc will remain same for all schools and be filled on the common form. Further on, parents will get to choose the schools of their choice on a map, and respective separate school criteria will be displayed on that form. After this process is completed, the parents will be given a tally of their scores earned for each school applied to, for their own record.